It appears Apple doesn’t plan to bring traditional keyboards back to its laptops. In what seems to be an effort to solve the reliability issues Apple experienced with the butterfly keyboard mechanism featured in its laptops, the company is working on a new glass backed keyboard, according to a recently filed patent. The patent, first uncovered by AppleInsider, describes a keyboard that replaces traditional movable keys with a glass sheet that aims to replicate the tactile feel of a keyboard. 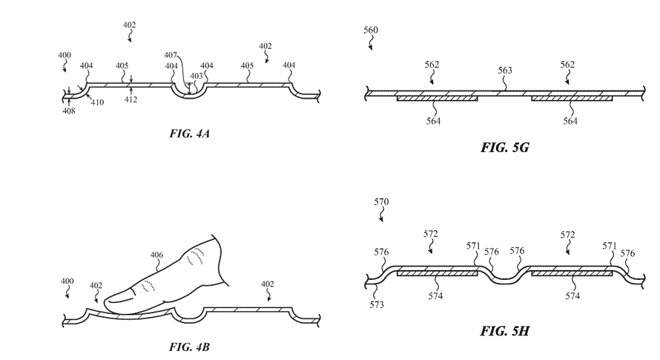 Some of these keys will feature raised sections, according to the patent. When one of these raised sections is pressed, the keyboard is capable of detecting the input and processes it in the same way it would a regular key. Unlike a standard, on-screen smartphone keyboard, the raised sections of the glass are designed to indicate where the user should place their fingers, says Apple’s patent filing. The patent goes onto describe a raised side wall on each key that would alter slightly with every key press, as well as a layer inside the key that pushes it back into place following a key press. Further, the actual text on keys is present under the glass panel, allowing it to altered for different regions or purposes similar to Apple’s TouchBar. The patent also mentions the possibility of the keyboard becoming a larger version of the MacBook’s trackpad in specific situations. Though the MacBook Pro’s TouchBar still holds potential, it has yet to become integral to Apple’s MacBook line. Those who weren’t fond of Apple’s Butterfly keyboard mechanism aren’t going to like this new glass backed panel given it results in what seems like non-existent key travel. 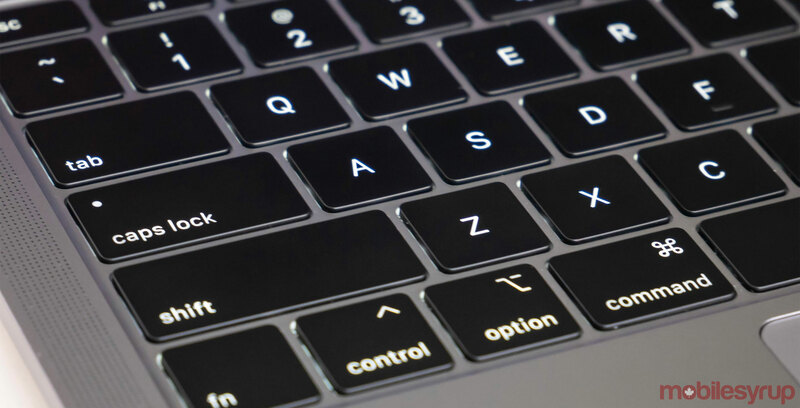 Apple’s Butterfly keyboard has been featured in all of the company’s recently released laptops, including the 2018 MacBook Pro and the new MacBook Air. That said, this new keyboard mechanism would solve the reliability issues Apple’s Butterfly keyboard suffers from. The 2018 version of the keyboard includes a thin silicone membrane that’s designed to protect the switches from dust and debris. Though the additional layer seems to have solved the keyboard reliability issues in most cases, there are still reports of problems from some users. It’s important to keep in mind that just because a patent is filed it doesn’t necessarily mean Apple will integrate this technology in any of its future laptops.